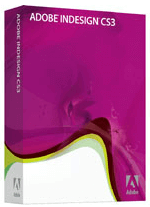 Our highly qualified trainers teach Adobe InDesign courses for all versions of InDesign. We have excellent training centres in London and also provide on-site and near-site training throughout the UK. The InDesign courses will provide the readers with the basic skills and knowledge necessary to get started using the essential features of InDesign. Training is delivered by closed company training, on-site training or one-to-one courses. Adobe InDesign software can be used to create works such as flyers, posters, magazines, brochures, books and newspapers, and also assist in creating content suitable for tablet devices. Designers and graphics production artists are the principal users, creating and laying out posters, periodical publications and print media. InDesign supports exporting to formats such as EPUB and SWF in order to create digital publications. If you are interested in InDesign Training London courses then please contact us for more information.